Through mentoring from Serving at the Crossroads and training from U.S. health care professionals, the resident staff has expanded the programs and care it provides to the local population. The Manos Amigas staff has built a reputation in the community for providing high-quality care and treating patients with compassion and respect. Everyday they are working to improve the quality of life for those in need. The dentists are now performing root canals to save teeth. They have also developed a dental care educational program for children in nearby schools. Dr. Alex Garcia, the primary physician on the staff at the clinic, shared with visiting physicians his work with localized hyperbaric oxygen therapy to facilitate healing of wounds in patients. After viewing photos of numerous patients, several of the doctors asked Dr. Garcia to follow-up with the patients they had seen at the clinic. 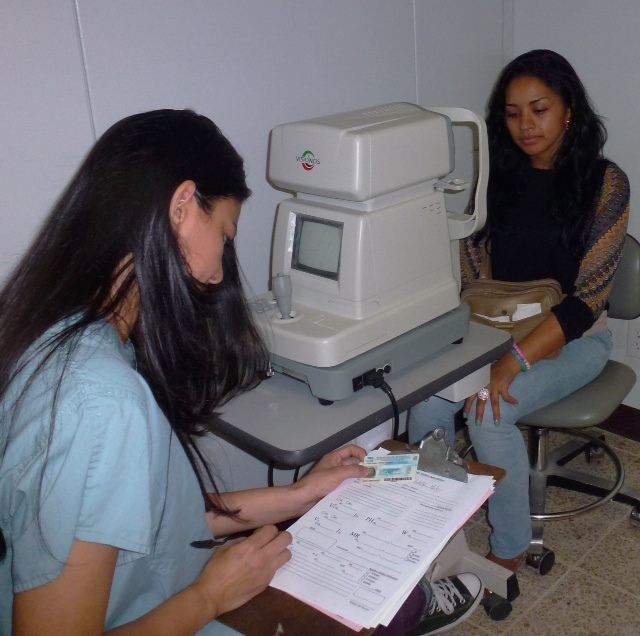 Karen Murillo, the former clinic receptionist, attended optometry school with a scholarship from Serving at the Crossroads. She graduated first in her class and has returned to the clinic to provide eye exams and glasses. Manos Amigas purchased new computers for the clinic to increase efficiency of the clinic's operation. The staff is being trained on newly installed software for financial accounting and inventory control of supplies and medications.